Hi guys, happy Monday - I hope it's a good one! It's supposed to be in the seventies today (! ), which after weeks of cold and rainy weather, I am thrilled about! I'm hoping that this stretch of warm weather is a preview of what is to come for good. Fingers crossed! 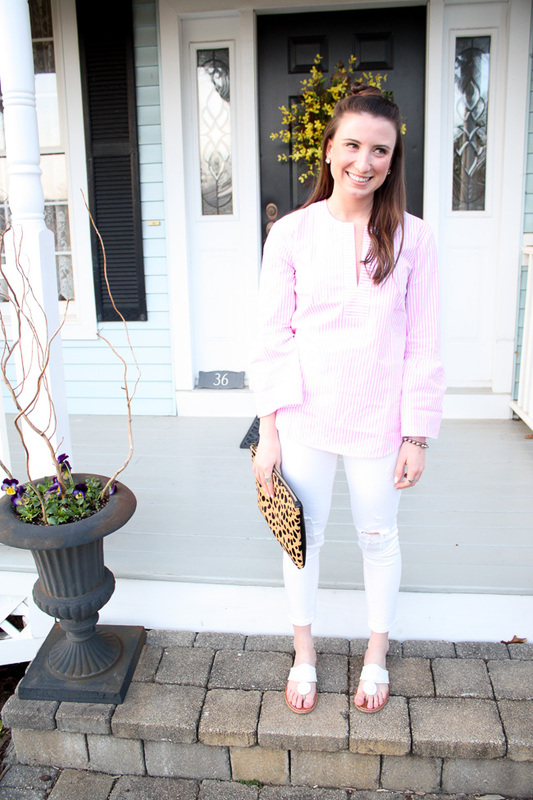 Speaking of warmer weather and spring clothing, I have been dying to be able to wear this bell-sleeve top and was finally able to break it out this weekend. 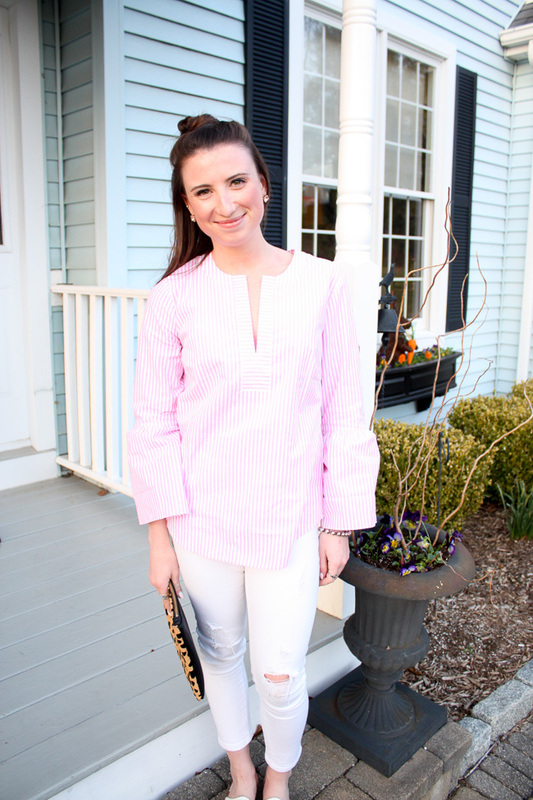 It is spring perfection! 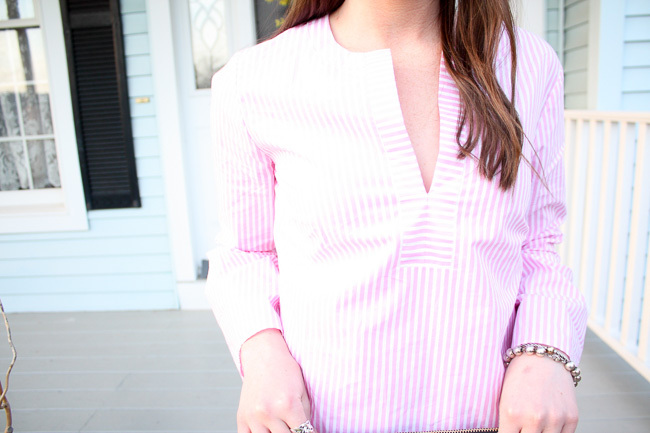 All the details from the dramatic bell-sleeves to the horizontal stripe trim along the neckline are what makes this top the beauty that it is. 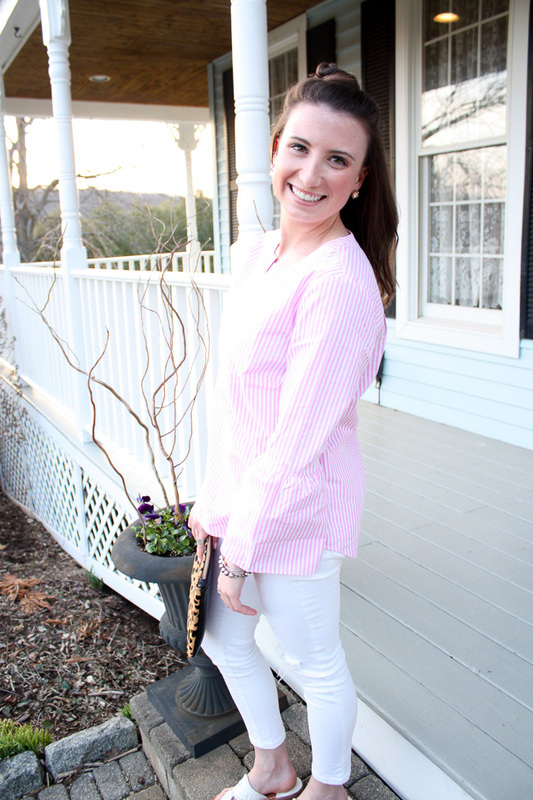 I received so many compliments wearing it and it without a doubt going to be a go-to this spring and even summer. 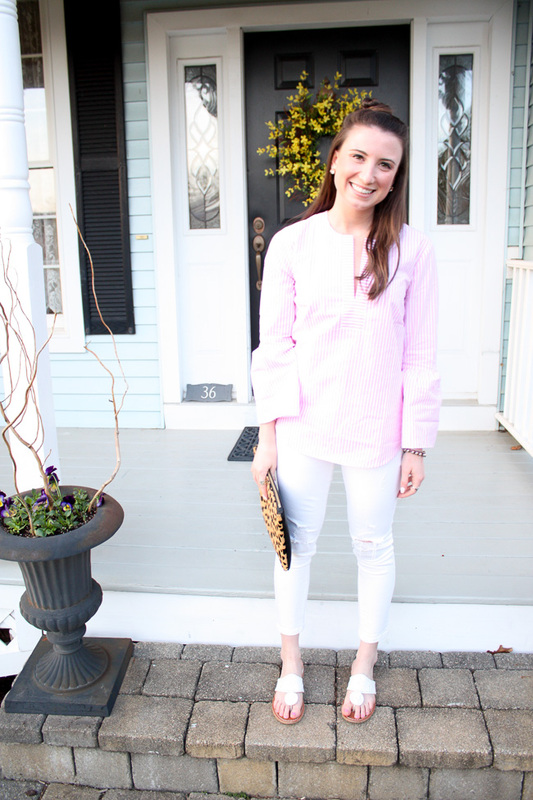 It is a piece that is easy to just throw on with a pair of jeans and sandals for a casual look, or one that can be dressed up if need be. Can't go wrong with that! Also! 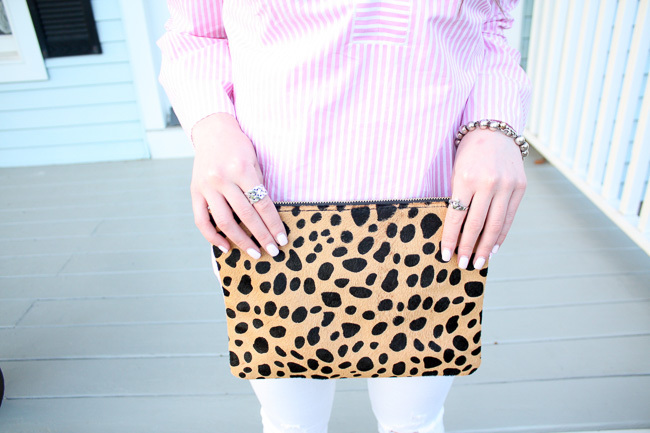 This leopard clutch just very quickly became one of my favorite new items. Can we just take a second to recognize how great it is!? I have been eyeing it for quite a while now but just never got around to buying it. Well, I am so very happy I did. 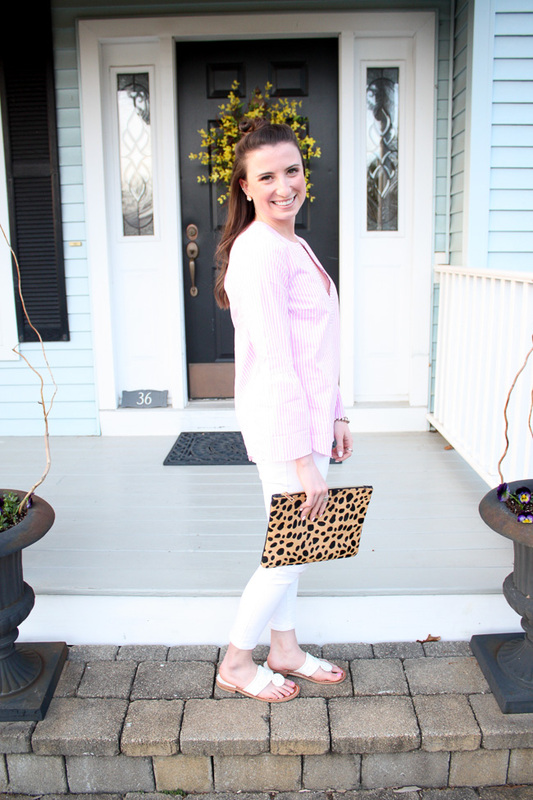 The leopard print is so fun - in the wise words of Jenna Lyons, 'leopard is a neutral' - I couldn't agree more. It is the perfect pattern to mix prints with, or to just add that little extra pop to an outfit. 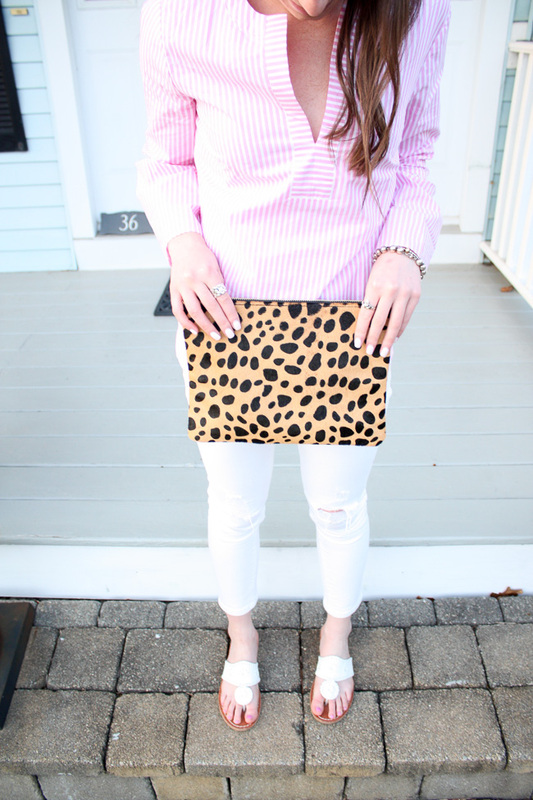 This leopard clutch is one of the staples you need in your closet - go get it! 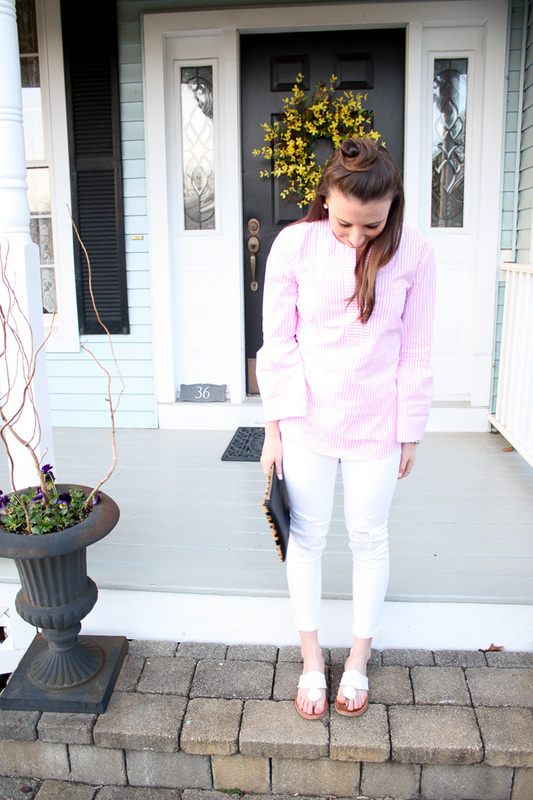 I've linked all the details of this outfit below! Check them out, enjoy, and have a wonderful week!